A simple scent can make you dream and remember things you’ve forgotten for a long time. This is one of the reasons why I fell in love with perfume. Aside from the inspiration of the senses, I was inspired by the multitude of different smells out there. Perfumes with edges, perfumes you have to learn to love - because you have to let go of habits if you really want to dip into the wonderful and extraordinary world of perfumery. They are able to influence your mood the second they touch your skin, even turn you into a totally different person. Here are some I would like to introduce to you - starting with my first pick and my Sunday scent No.1 EFFLORA by ODIN NEW YORK. This scent reminds me of: …standing in a blooming garden, summer rain starting to wet the skin and the blossoms around you. Taking a refreshing sip of ice cold, sweet lemonade while standing in the rain, tropical like smell of summer. The message: The Eau de Parfum feels soft and sensitive and simultaneously vibrating. It’s a very feminine creation, but also playful and you feel the little fruity wink that says you are a woman, you are a lady - so let’s have fun and enjoy the sun! For: … I would recommend this sweet creation from ODIN NEW YORK to a young woman. A woman who wants to feel feminine without losing her power – or her playful side. A grown up with a child at heart. 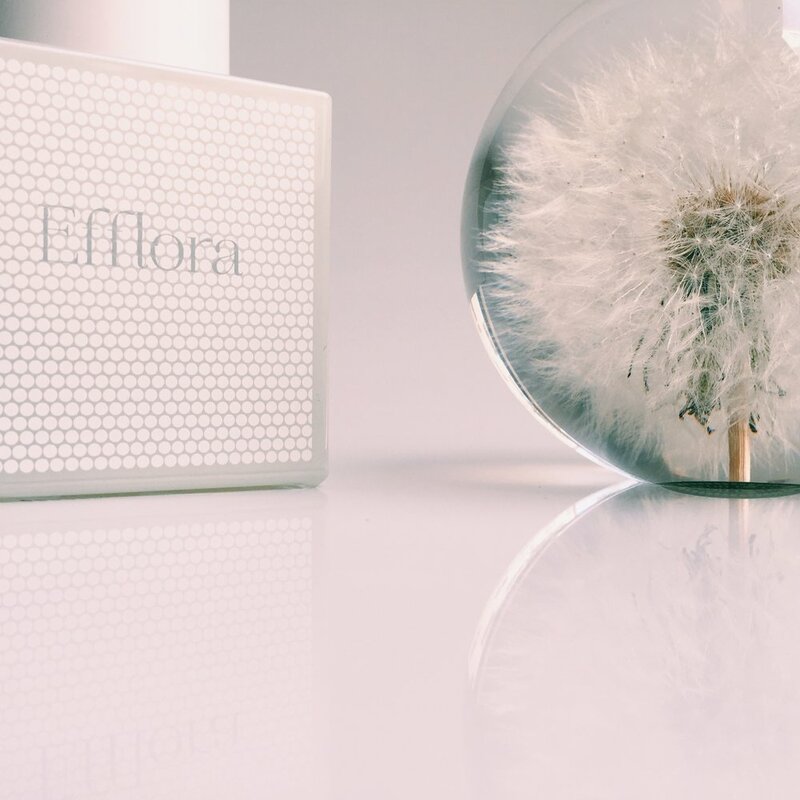 Side note: EFFLORA is part of THE WHITE LINE - a clean and minimalistic line honouring the feminine side of the perfume house that normally releases unisex-fragrances. The theme of these three creations is the specific flowers and bouquets that these fragrances contain: EFFLORA features the citrus side of flowers, the second creation plays with rose and the third fragrance honours green impressions. Available at:Aus Liebe zum Duft for € 175,00 (100ml Eau de Parfum).